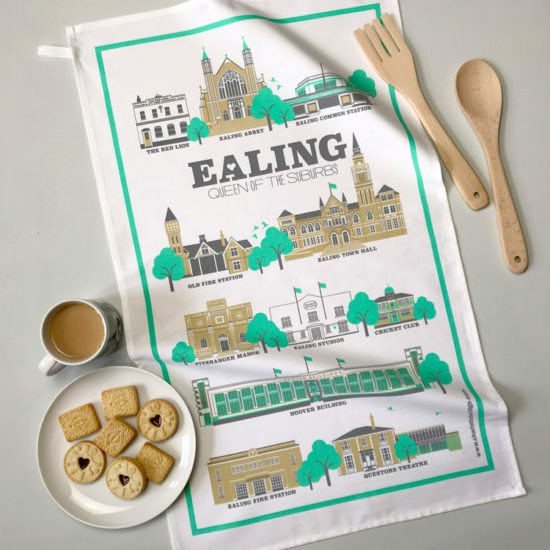 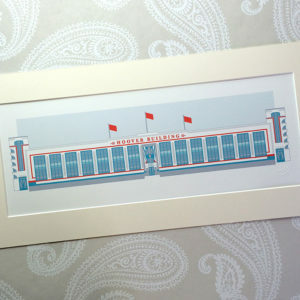 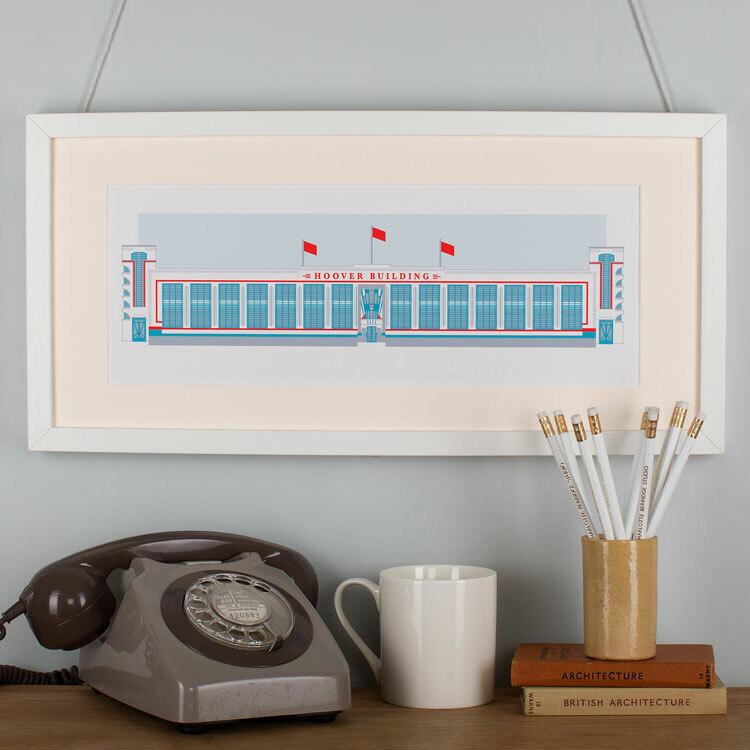 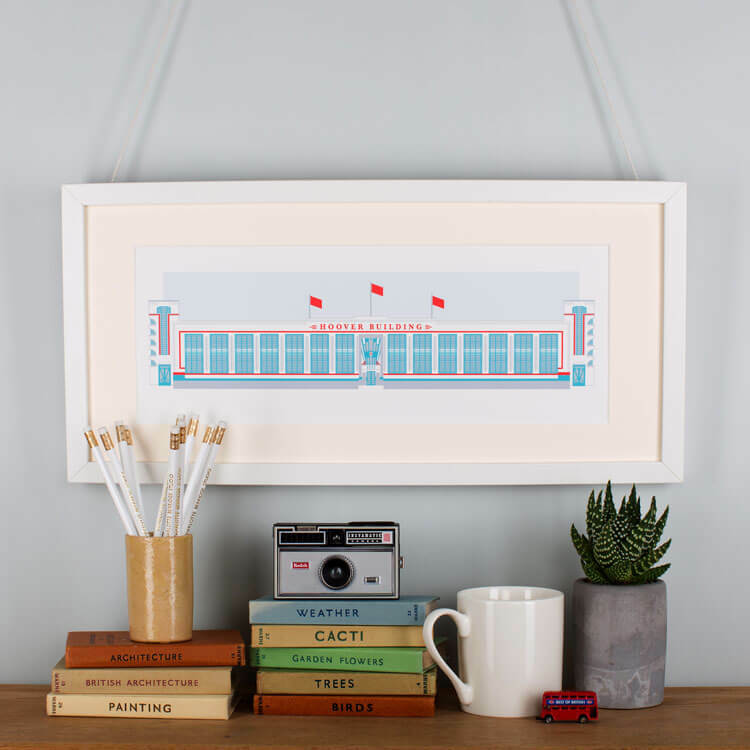 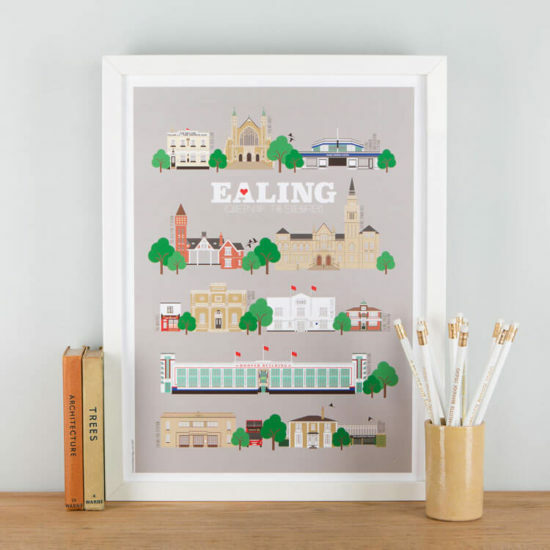 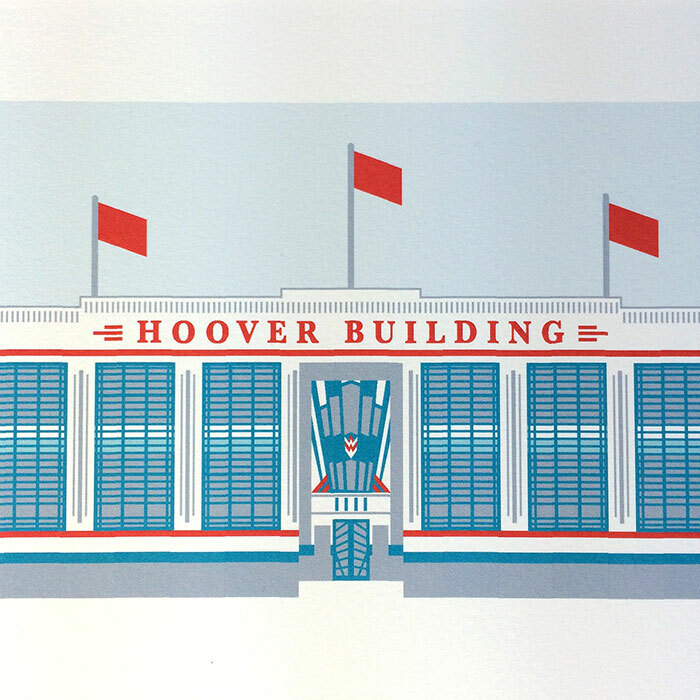 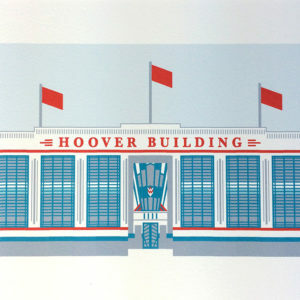 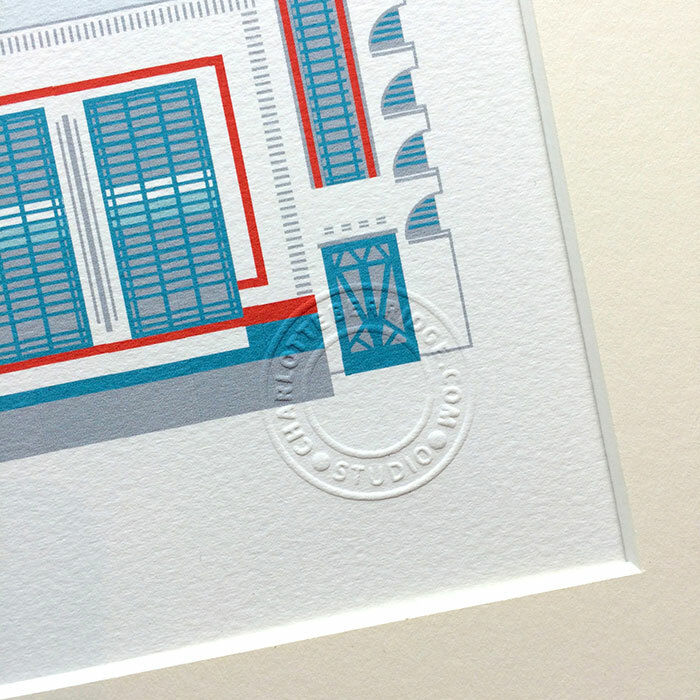 Stylised illustrated art print of The Hoover Building created exclusively by Charlotte Berridge. Sold unframed, designed to fit standard high street frames (Shown photographed in the Ikea Ribba range). Supplied packed flat with supportive backing board in a protective cellophane bag.